For seventy years, Israeli violence has permeated every aspect of Palestinians’ lives. Once again, Palestinians are resisting. Like other settler colonial states, Israel aims to asphyxiate the socially reproductive capacities of the indigenous populations it seeks to dominate. That imperative is particularly urgent in the Israeli case, where the Jewish and non-Jewish populations under the state’s control are of comparable size and the land in question is relatively small. This discriminatory denial of rights extends to Palestinians across the globe, whether they live as second-class citizens of Israel, under occupation, in the diaspora or in refugees camps. All are prevented from returning to their homes through the use of violence and with decisive help from the US. The unmistakable message for Palestinians at every turn, from before the Nakba to the Great Return March, is that the slightest resistance to the ethnostate erected on their homeland will be met with imprisonment or lethal force. Israeli violence permeates every aspect of Palestinians’ lives, even as its strategies of control have taken a variety of shapes over time. To create the state in 1948, Zionist forces expelled 750,000 Palestinians from their homes. In the process, they carried out roughly ten large-scale massacres, each with at least fifty victims, along with around one hundred smaller massacres. The forces of Israel’s pre-state paramilitaries killed Palestinians in nearly all of their villages, repeatedly dumping the victims’ bodies into pits. On numerous occasions, Zionist militias killed Palestinian children and raped Palestinian women. Similar atrocities continued in the state’s early years. In 1953, Israeli forces massacred 69 Palestinian villagers in Qibya after complaining of “infiltration” of Israeli territory by Palestinian refugees. 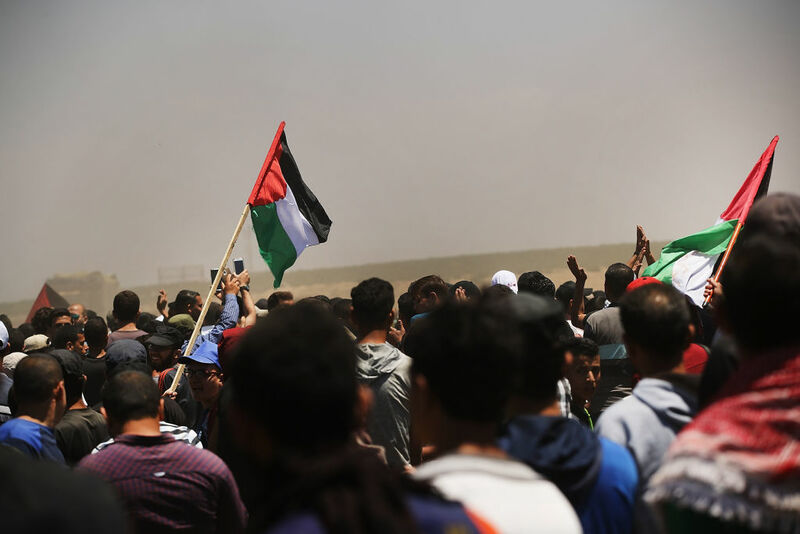 During the Suez conflict three years later, they killed 48 Palestinian laborers in Kafr Kassim; 275 Palestinians civilians at Khan Yunis and a nearby refugee camp; and then 111 more Palestinians at Rafah refugee camp.